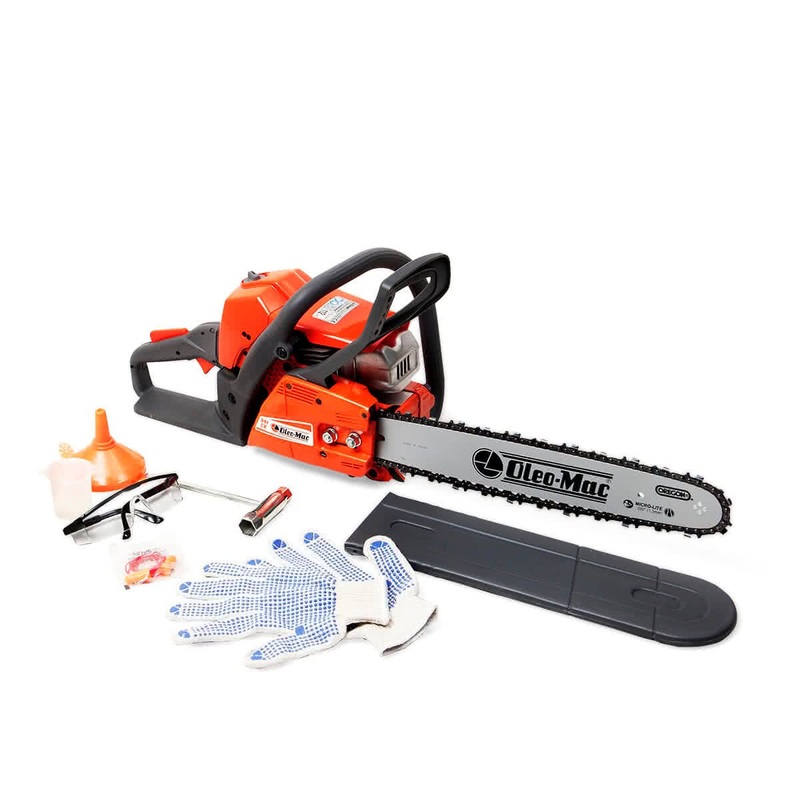 The OLEO Mac Petrol is an excellent chainsaw for homeowners and professional users. 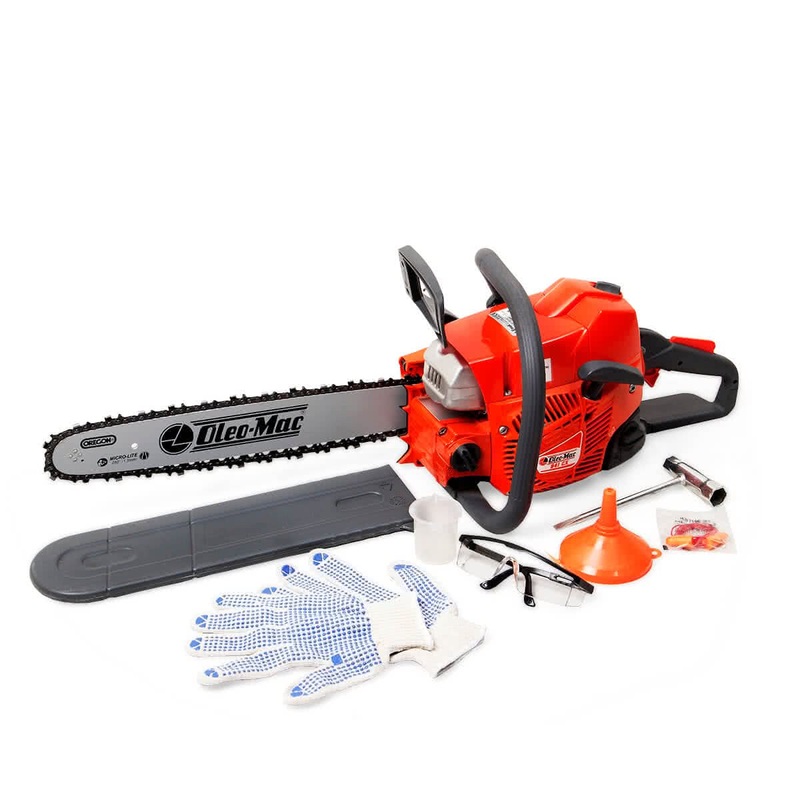 This chainsaw is equipped with a 2.5 HP powerful engine which helps in cutting all kinds of branches and trees. It has an 18 inch steel bar which also comes with a cover to avoid rusting and maintain the chain oil. It also includes an Anti-Vibe handle and over molded rear handle to lessen operator fatigue, automatic chain oiler, effortless start system, plus the super clean air filtration system. It comes with various accessories such as a filling funnel, gloves, and other safety equipment.